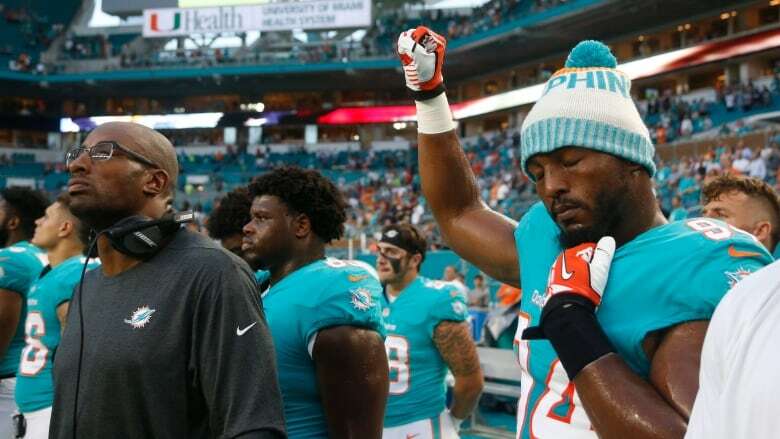 Kenny Stills and two other Miami Dolphins protested during the national anthem before Thursday's exhibition game against the Tampa Bay Buccaneers. An earlier headline indicated the players were protesting the national anthem. While the demonstrations are occurring during the national anthem, the players are protesting various social justice issues.